Bringing The Noise for Dr. Martin Luther King Jr. Introducing Youth Speaks' Inaugural Future Corps Fellows! 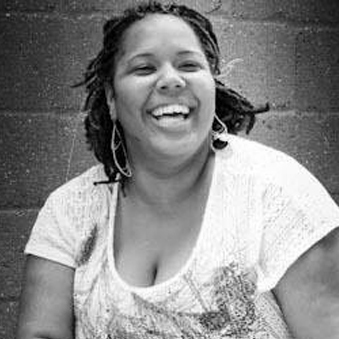 Fellowship with Words Beats & Life in Washington, D.C.
Lauren Bullock is a multi-racial writer, performer, and community organizer. She has competed in the National Poetry Slam, the Southern Fried Poetry Slam, and has appeared on multiple final stages for the College Unions Poetry Slam Invitational (CUPSI). Lauren is also a founding and three time member of the University of North Carolina’s slam team as well as former Artistic and Executive Director of Wordsmiths (UNC’s first-ever organizational board dedicated to poetry and slam). Currently she serves as a columnist for nerd culture web site Black Nerd Problems as well as poetry editor for literary magazine FreezeRay Poetry. When not working on poetry-related activities she spends her nights as a costumed vigilante. Monica Davidson is a youth activist, social justice change agent, spoken word poet, facilitator and educator from Madison, WI. 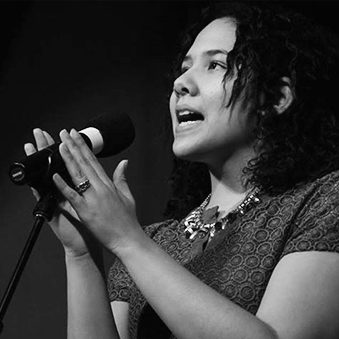 Monica was a three-time member of the Youth Speaks Wisconsin team and a two-time finalist in the Madison Adult Slam Competition. She served as the Education and Community Outreach Coordinator for Generation Spoken and has helped facilitate and develop spoken word and writing curriculum for countless high school, grade school, professional and community programs. Monica has a passion for working with young people and believes every young mind has a great talent waiting to be discovered. When she is not helping to cultivate change she enjoys playing and coaching basketball, hosting friends for dinner, and spending quality time with her dog, Scruffy. Bayana Davis is an Oakland native and graduate of Mills College. She has grown up in the Youth Speaks family, working on SPOKES and serving as the National Program Intern. She is a huge nerd and a writer of science fiction/fantasy. When she is not working, reading, or having Doctor Who or Harry Potter marathons, she runs a blog with her cousin called “Black Girls Nerd Out”, where they explore their identities as black women nerds. She also cohosts a Harry Potter podcast called “#WizardTeam” as a part of “Black Girls Nerd Out”. Shannon Matesky hails from Berkeley, California. She is a producer, director, actress, writer, educator and activist and holds a BFA in Acting from DePaul University’s Theatre School. Her theatrical experience includes working with companies such as American Theatre Company, The Inconvenience, UrbanTheatre Co., The Hypocrites and Steppenwolf Theatre. Shannon assisted Chuck Smith in directing at the Goodman Theatre and MPAACT Theatre as well as assisted Charles Newell at The Court Theater. 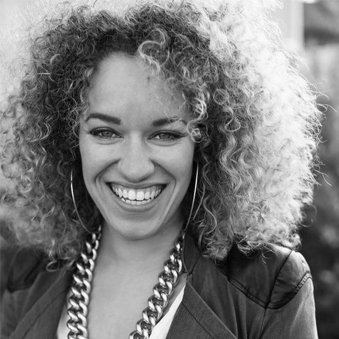 Shannon is the author of three solo plays, "She Think She Grown", "We Gotta Eat"​ and "The Saga of the Return." Shannon's spoken word poetry has been featured on stages across the country from classrooms to performance art spaces as well as the final season of HBO’s Def Poetry Jam. 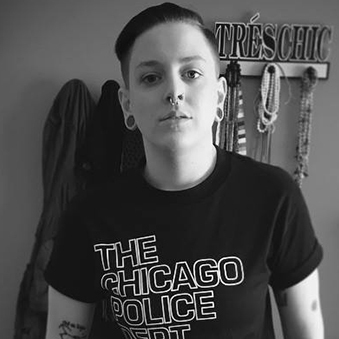 As an activist and teacher, Shannon has worked with organizations such as Young Chicago Authors, Step-Up Women’s Network, Kuumba Lynx and DePaul University aiding teens and young adults in technical and life skills. 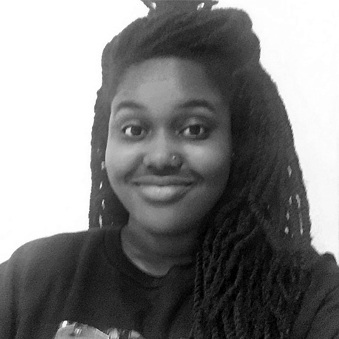 Shannon recently worked with Youth Speaks Inc. to produce national festivals and campaigns and held the role of Festival Director for Brave New Voices International Teen Poetry Festival 2015 in Atlanta. Shannon is signed with Paonessa Talent Agency in Chicago and MDT Agency in San Francisco. Laree Pourier is a member of the Oglala Lakota Nation. She grew up in Pine Ridge, South Dakota and lived in Milwaukee, Wisconsin for a number of years while pursuing an undergraduate degree. Her studies have focused primarily on Social Welfare and Justice and Fine Arts. 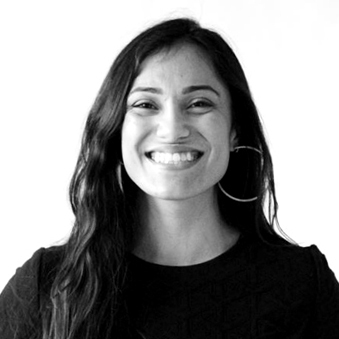 Laree is happiest when she is engaging in work that encourages youth of color to use creative means to navigate and overcome forces of colonization in their lives and when she is cultivating community spaces of resistance and celebration with her loved ones. Han Rodriguez is a visual artist, rapper, poet, and activist born and raised in Nashville, Tennessee. They received their Bachelor of Fine Arts degree from School of the Art Institute of Chicago in 2013 and have since worked as a poet mentor and teaching artist for Southern Word in Nashville. Han is known for using each medium they create work in as a platform to question the social constructs of race, gender, class, sexuality, and to examine the overarching instability of a world constructed in binaries. Devin Samuels is an artist activist from Providence, Rhode Island who has been performing on local and national stages for the last 9 years. After spending many years participating on the youth slam poetry team, he founded UConn’s first Spoken Word poetry organization, “Poetic Release”. Since then, he has spent time coaching both UConn’s College Slam team and the CT State Youth Poetry Slam team, taking them both to semi-finals at their respective national level competitions (CUPSI and BNV) in 2013. Dedicated to uplifting and empowering youth voice, Devin has become a fixture in New England’s spoken word community. As an activist, Devin has been a proud member of SSDP as well as deeply involved in anti-racist and anti-climate change movements. 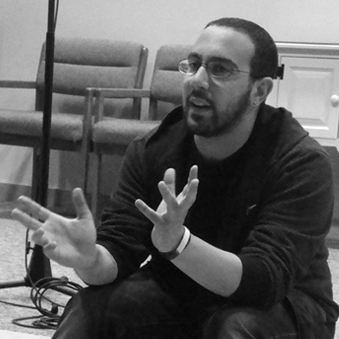 He has designed and hosted workshops on intersectionality, identity, and emotional knowledge in classrooms and conferences around New England, including the 2014 Climate Change march in NYC and the 2014 Brave New Voices International Youth Poetry festival.